Wow account is unreal, lets just pretend that i meant 20k. This isn't even a tournament and their handing over $$$ like no tomorrow! 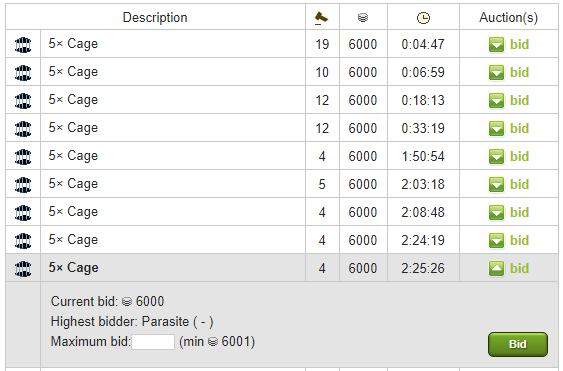 This guy has bought nearly every cage since the start of the auctions, i estimate that they have used around 10,000 gold if they indeed bought the Glad helmet and its obvious that they have a serious zoo in the works. Prices on ointments are starting to drop but cages are still up.